If you are a fan of the American version of the improv show called Whose Line Is It Anyway, you most definitely know the program’s musical director, Laura Hall. What you may not know is that there is a lot more to her than just the ability to improvise behind those who constantly come up with the humor on the show. Coming as something that should be no surprise to anyone, Laura Hall makes use of her musical training in more than just the role of a musical director on an Improv show. On days when she is not found backing up people who make a living making things up off the top of their heads, Hall puts her musical background to use with the band called The Sweet Potatoes. The Sweet Potatoes is a trio of musicians who blend together some classic musical styles in order to create their sound. Laura Hall makes up only one part of The Sweet Potatoes as she performs on piano, accordion, ukulele as well as mandolin and vocals. Hall’s husband Rick Hall, who has made a name for himself as music composer for the likes of shows such as NCIS and KC Undercover, joins the two ladies in the group as he performs on vocals, bass and harmonica. Kelly Macleod (the woman who formed The Sweet Potatoes with Laura Hall as a duo before Hall’s husband joined them) completes the outfit as she performs on vocals and guitar as well as being a writer with Laura Hall on the band’s songs. Together, the trio combines their various musical talents to create a musical ensemble that creates music that focuses on the style of Folk music. As a duo, Laura Hall and Kelly Macleod had already released one self-titled album of music in 2010 before Rick Hall joined the ladies. As a trio, The Sweet Potatoes created one album of music, 2014’s Faith, Good Neighbors and a Telephone. Now, the trio formation of The Sweet Potatoes has released a second album, (third all-around for the band) 2017’s Headin’ Home. Headin’ Home from The Sweet Potatoes begins with the track “Those Pines”. The track begins with two-part harmony coming from Laura Hall and Kelly Macleod to create a Bluegrass-style vocal before Macleod takes the lead on vocals as the group begins a track that is truly a Bluegrass fan’s dream. The track features a story-like feel to the lyrics. Macleod sings of remembering the pine trees where she grew up. As she sings of the place she called home, she describes the time when she came home to attend her mother’s funeral and then taking a walk within the trees so that she could find peace of mind. “Those Pines” is easily one track that will fulfill any Bluegrass fan’s dream of finding real bluegrass music. With the next track of “By the Light of Day,” the song finds the trio creating a track that falls musically closer to Country music than it does Bluegrass. In fact, the track’s musical blend is about half and half Country and Folk. As Kelly Macleod took the lead on vocals with the previous track, it is Laura Hall’s turn to sing lead. While many of us already knew Hall was a talented musician, “By the Light of Day” proves that she can also sing rather well. Just like with the song before it, this track once again features strong harmonizing from the three band members. On the third track entitled “Second Hand News,” The Sweet Potatoes create a track that revolves around two people spending quality time together. With this track, Kelly Macleod once again takes the lead on the vocal. Macleod sings about slowing things down while relaxing out in the grass and allowing things to happen as they will as she proves she is better than the woman who has taken her place in the now-defunct relationship. The lyrics to the song contain enough of a hint at what is being sought after without going overboard. “Second Hand News” contains a gentle feel with a moderate pace to the music. The next song on the release is “Home”. And with this song, the trio brings a little more wholesomeness back to their music. The track “Home” finds Macleod once again singing lead on a track about looking back at the way life used to be. 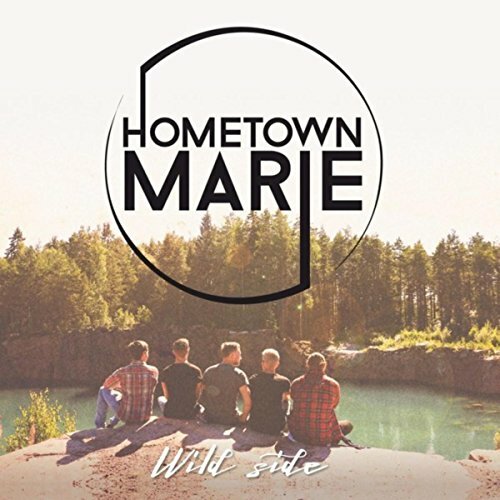 To go along with a gentle pace to the music, “Home” features a lyrical content that is sure to evoke memories of times gone by as Macleod sings about the good times that made her childhood so memorable. “Home” is one of the shining moments on the newest release of Headin’ Home from The Sweet Potatoes. Many Folk albums venture from time-to-time into a more Gospel-oriented musical direction. Headin’ Home from The Sweet Potatoes is no exception. On the track “Down to the River,” Kelly Macleod sings lyrics about heading down to the water that will cleanse her soul. The music on the track picks up a little more Bluegrass feel than the previous tracks contained. The track contains enough of a religious overtone without getting too preachy. For those who enjoy Bluegrass music, especially old-time Bluegrass with that Gospel connection, “Down to the River” is a great modern-day addition to the genre. On the next track on the album, The Sweet Potatoes create one of the most commercial songs on the entire album. The song “Without You” once again features Kelly Macleod on lead vocals as she sings about her romantic desires. Macleod’s vocals about not wanting to spend her life with that someone special join music that is closer to Old-fashioned Country music than Bluegrass. In fact, the feel of the music as well as the contents of the lyrics make the track perfect for inclusion on Country radio formats that deal with more of the Classic sound and style. While this track may being rather unusual when comparing it to today’s contemporary Country music, the formats that focus on the style that would include Dolly Parton, George Jones, Patsy Cline and Marty Robbins would welcome “Without You” from The Sweet Potatoes with open arms. Just as “Without You” comes to an end, the trio of The Sweet Potatoes creates yet another track that features an Old-fashioned Country feel to the music. “Only Thing We Got” features Laura Hall once again on lead vocals as she sings about the one thing that binds us all together- love. While there is still a strong retro feel to the music on the track, “Only Thing We Got” seems like it would fit more with today’s style of Country than most of the tracks on the album. The track exists somewhere between “timeless” and modern. As you make your way through the dozen tracks that make up the Headin’ Home album from The Sweet Potatoes, you encounter different musical elements that blend together easily to create an album that feels as if it should have been released several decades ago. And while there is the retro or throwback element to the band’s music, The Sweet Potatoes will appeal to fans of the older style of Country/Bluegrass music. For those who are already fans of that style, be sure to add this album to your collection. And to those who are just beginning to explore the older styles of music, Headin’ Home album from The Sweet Potatoes, is a good place to start. For more information, check out the Tiny Desk Contest of “Home” from The Sweet Potatoes. Click on the album cover below to purchase a copy of Headin’ Home from The Sweet Potatoes.